Hameline joined Aurum from BroadReach Healthcare where she was Acting Chief Finance Officer. Prior to that, she worked as a Finance Executive at Anova Health and Institute for Security Studies. She has served on and reported to Boards of Trustees, Management Boards and Executive Committees with the various organizations she has worked for. She is a seasoned Development Professional with over 18 years in financial, human resource and general operations management. Her experience has been gained while working in Southern, West and East Africa, where she led teams working with multiple funders that include USAID, CDC, DFID, EU AusAID, CIDA and Nordic governments amongst others. She has experience leading and building finance and operations teams across multiple cultures and locations that deliver support to Technical Program teams while managing multi-million dollar programs. Hameline’s expertise includes participation in the development of business and operational strategies and monitoring of implementation thereof. 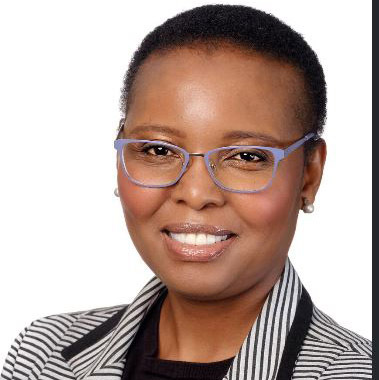 Hameline holds a Bachelor of Accounting Sciences from University of South Africa and a Master of Business Administration (MBA) from WITS Business School.